I love tattoos that are subtle references to fandoms, like the Harry Potter page corner stars. It’s the same with this tattoo. The idea of it is so brilliant, I can’t even. Though I don’t know yet if I’d personally get one–especially on my collarbone–this one is definitely going in the “Maybe” pile. Speaking of subtle references, I would love to have a small, simple tattoo of the multicolored stars from the Tintin series. 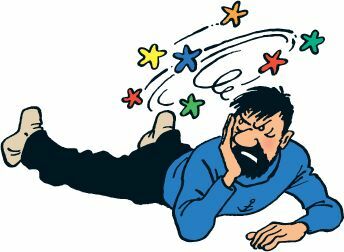 The stars generally indicate when someone gets knocked on the head (usually Captain Haddock), but they are so quaint to me. If I could place these anywhere, I’d have a small cluster on my wrist. Honestly, who doesn’t love Winnie the Pooh? The particular quote I would get as a tattoo would be: “You are braver than you believe, smarter than you seem, and stronger than you think.” Whenever I would have a particularly rough time in college, I would read this quote. This phrase became my mantra when I was studying abroad. This is a tattoo I’ve wanted for years, and more than likely the one I will get. Tattoos like these speak to my inner high school emo kid. The Nightmare Before Christmas is one of my favorite Tim Burton films, and beautiful murals like the one above delight me to no end. I know I would never get a tattoo of this magnitude, but I appreciate all of the work and artistic effort that’s put in to such pieces. Some of the most beautiful films I’ve ever watched were created by Miyazaki and his Studio Ghibli team. Because of this, I believe that his work makes for gorgeous tattoos. I mean, just look! 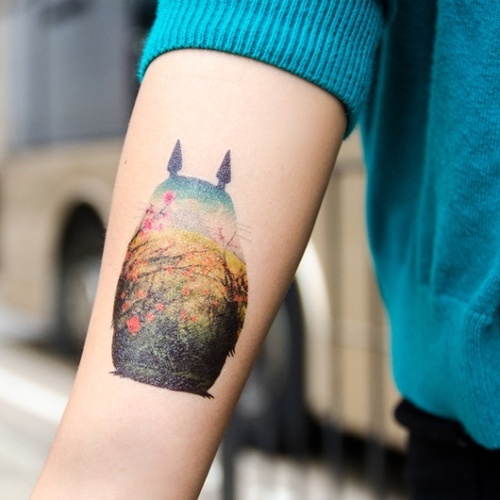 This Totoro one is STUNNING. Also, I have to give props to the guy that got this Calcifer tattoo across his chest. There you have it! Do you have a geeky tattoo that you’ve been dying to get? Or do you have one already? Let me know in the comments! Life was meant to be lived nerdily, so what are ou waiting for? For sure! One of these days I’ll buck up enough courage to get one.